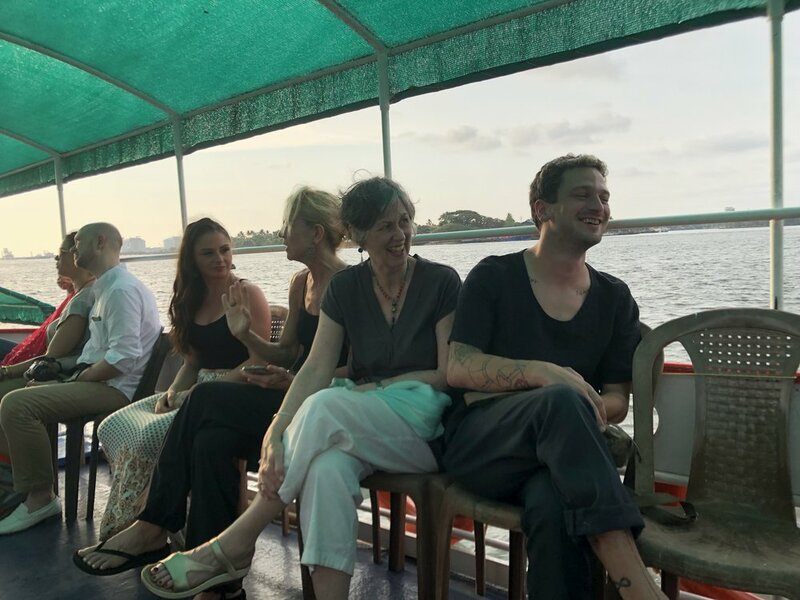 Join ISHTA Yogiraj’s Mona Anand and Tamara Graham in India, March 2019. The retreat will be held in Rajasthan, often referred to as the jewel in India's crown. We have picked Jaisalmer, on the edge of the Thar Desert, and Samode, outside of Jaipur "The Pink City". In Jaisalmer we will be staying at Suryagarh, a 5-star boutique fort hotel, which is a destination in itself. We will then be visiting Jaipur, famous for it's forts, palaces, and old temples - every part of this walled-city is worth exploring. Our stay will be at the Samode Palace, a 475-year-old palace that is a celebration of the senses, underlined by contemporary luxury and magical hospitality. 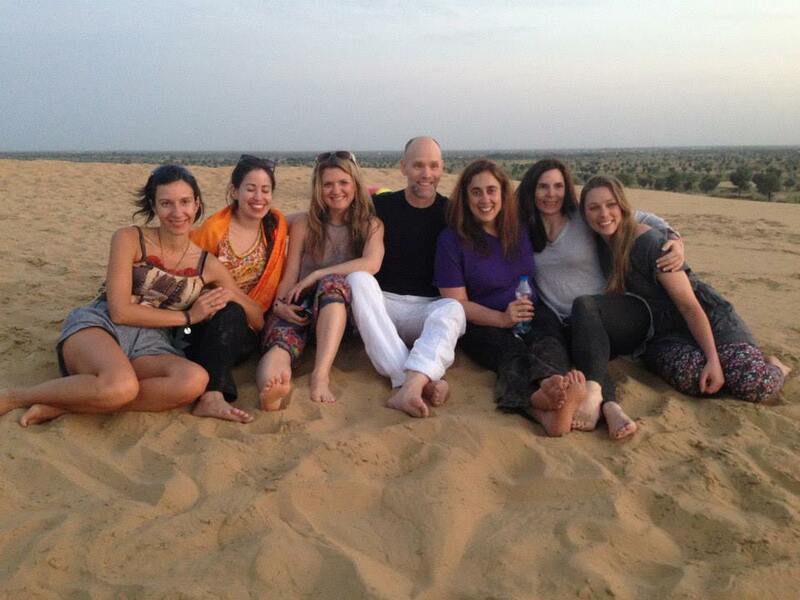 There are several options you can choose from to experience your retreat and India! 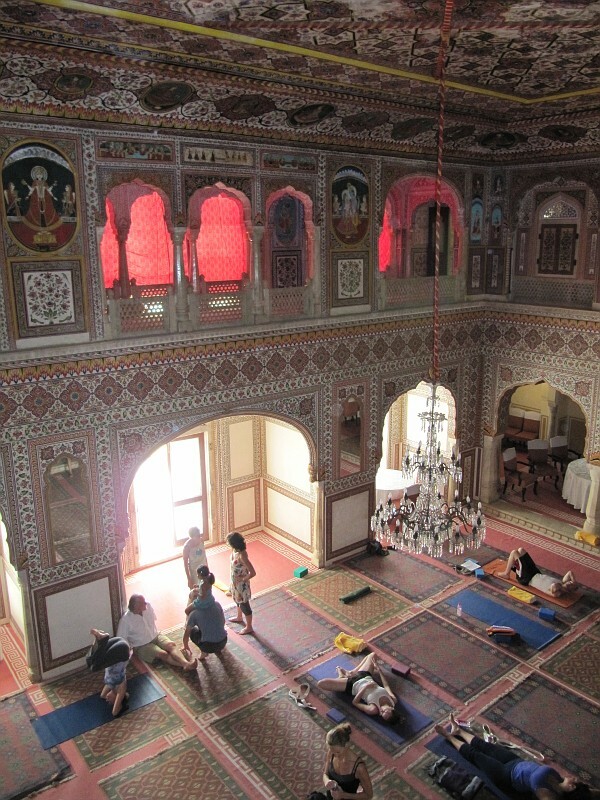 You can come for the full retreat to Suryagarh and Samode, or join us for a shorter stay at the Samode Palace retreat. There is also a pre-retreat to Agra to visit the Taj Mahal (one of the seven wonders of the world), or stay after the retreat to tour New Delhi! Or do them all! There’s pricing for each leg of the journey and three different choices of rooms. 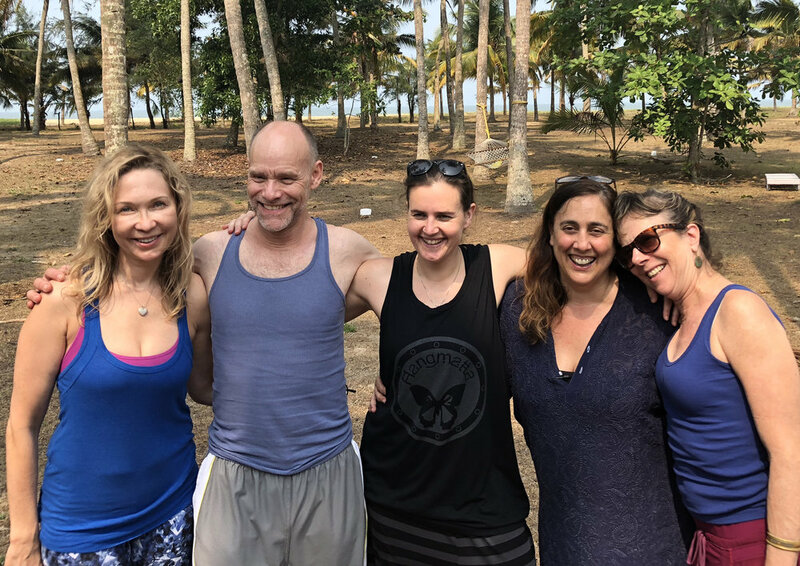 Early Bird Pricing on the retreat through January 5, 2019. Please email Donna to reserve a spot or for more details / pricing. Early Bird Pricing ranges from $1900 - $2800 for the 7 Day Retreat and $2950 - $4400 for the 10 Day retreat. Prices include: Luxury accommodations, all intra-India flights, airport transfers for retreat scheduled flights, scheduled sightseeing trips, daily brunch + dinner, full yoga program, and more. “I was always intrigued by India but overwhelmed at the thought of traveling there. Jaisalmer – The Desert Citadel. A place that perhaps epitomizes the lonely, awesome beauty of Rajasthan is the “Golden City” of Jaisalmer, perched atop a hill and surrounded by miles of soft, fine, gleaming sand. This magical and incomparably romantic desert fortress is straight out of the Tales of the Arabian Nights. Because of its strategic location on the route between India and Central Asia, Jaisalmer was once a very wealthy place. The merchants and townspeople built magnificent houses and mansions all exquisitely carved from wood and sandstone. 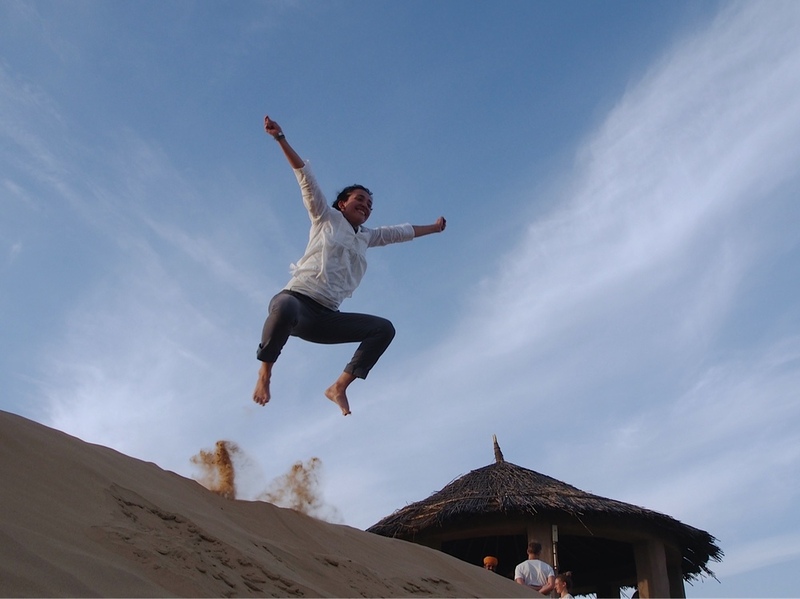 Jaisalmer is an unmissable stop on any journey to India. The hotel represents a unique way of life, carefully preserving the traditions of the past yet framing them in a modern idiom. The hotel takes the path less traveled and discovers with you, secrets of a land that have been long shrouded in myth and legend. You will enjoy grand dinners on the dunes, while being serenaded by house musicians and dancers who still practice the music and craft of their ancestors. The famous Golden Triangle is a traveler’s survey of Indian icons with Rajasthan's capital, Jaipur, at one of the apices. It kicks off at the daunting megametropolis of Delhi, with its majestic Mughal heritage, and then angles to Agra, where one of the world’s most famous tombs, the Taj Mahal, defines the city. The triangle is completed at Jaipur – a city painted pink with some of the most colourful bazaars in India. Moreover, Jaipur is the gateway to Rajasthan, and once you've slept in a palace, entered a medieval fort or swayed on a camel, you'll want to experience more. In Rajasthan, it's the forts and palaces that grab your attention. Massive forts emerge from mountain tops, their battle-scarred ramparts still defying long-dead enemies. Spiked doors that once held war elephants at bay open onto the twisting approaches to the palaces within. Austere and practical gives way to fantasy and opulence once safely inside. Carved marble and stone, fountains and coloured glass decorate the halls of business and rooms of pleasure. All across Rajasthan there are numerous forgotten forts and lovingly restored palaces, including Jaisalmer's fairy-tale desert outpost. Agra city is a virtual gateway to a world of discovery. It has witnessed the rise of the pomp and pageantry of three great Mughal monarchs – Akbar, Jehangir and Shah Jehan, all of whom lavished on this fabled city, their love and riches to transform the land into one of the greatest centres of art, culture, learning and commerce. Much of the city’s impressive past lives in evidence even today, in the haunting presence inside the monuments and in the majesty of the buildings. The regal Jaypee Palace Hotel and Convention Centre, strategically located in the main tourist district of Agra, on Fatehabad is a glorious structural blend of red sandstone and marble spread over an unbounded 25 acres of elegantly landscaped luxuriant greenery. Sprinkled with enormous water bodies and endless walkways, this magical creation impeccably blends Mughal and contemporary architecture with modern amenities. The British created their own Delhi with large well planned avenues and planted 10,000 trees with a 112 kms of hedges that it would be green round the year abundant with flowers a botanical paradise. The seat of the British Empire, Delhi of 1911 was planned to resemble ‘an Englishman dressed for the climate’. Its planners and main architects decided that it would be neither Hindu, nor Muslim, nor Buddhist, nor English nor Roman but IMPERIAL a house for the Viceroy that resembled a “giant Indian bungalow, embattled Rajput fortress and Mughal tomb with shades of Buckingham Palace with English country house comforts”. 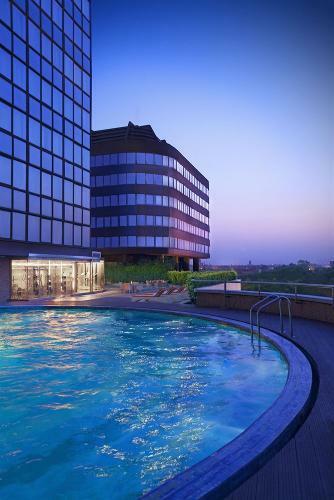 Your stay during the post retreat will at be Le Meridien in New Delhi. Over the last three decades, Le Meridien New Delhi has transformed itself into a masterpiece. The 5-star hotel is an epitome of world-class architecture, cuisine, design and fashion. Located in the heart of the city, the iconic glass building of Le Meridien New Delhi has been recognized as one of the 100 Icons of Delhi. The hotel is readily accessible to city's important facilities and institutions. The glass building is surrounded by ministries, government institutions, Media Centre and historical monuments. The shopping hubs Connaught Place and Janpath Market are within walking distance from the hotel. Delhi is perhaps the only city in the world that fuses its past present and evokes its future without losing an iota of its identity. 1300 monuments speak of her antiquity, of the ambitions of men who thought they could hold on to her but history proved otherwise. A popular superstition is that it is also known as the ‘graveyard of dynasties’ with every one of its cities built there heralding the death the dynasty that built it. Thus, Delhi is a Melting Pot of cultures, politics and religions of India’s colorful past in its monuments, its palaces, and in the faces of its people that themselves narrate the story of their glorious past. Email Donna for more information and pricing. Click here to read more about my past retreats.